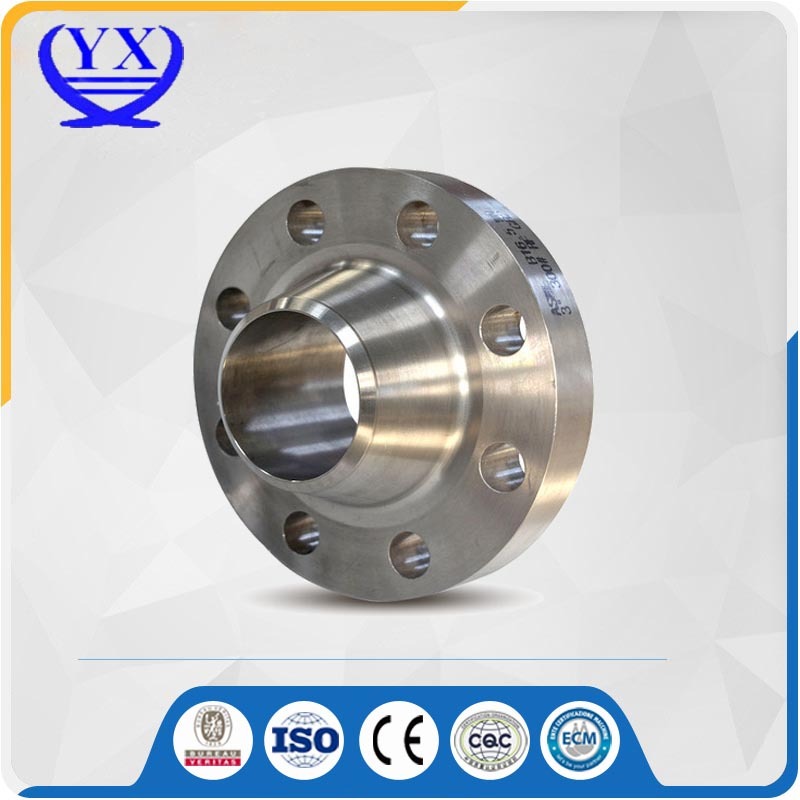 Product categories of Steel Flange, we are specialized manufacturers from China, Steel Flange, Casting Steel Flange suppliers/factory, wholesale high-quality products of Forged Steel Flange R & D and manufacturing, we have the perfect after-sales service and technical support. Look forward to your cooperation! Pipe flanges are manufactured in all the different materials like carbon steel ,stainless steel, cast iron, aluminium, brass, bronze, plastic etc. but the most used material is forged carbon steel and have machined surfaces. In addition, flanges, like fittings and pipes, for specific purposes sometimes internally equipped with layers of materials of a completely different quality as the flanges themselves, which are "lined flanges". The material of a flange, is basically set during the choice of the pipe, in most cases, a flange is of the same material as the pipe. All flanges, discussed on this website fall under the ASME en ASTM standards, unless otherwise indicated. ASME B16.5 describes dimensions, dimensional tolerances etc. and ASTM the diaterial qualities.